Edited by the best-selling author of The Ice Harvest, St. Louis Noir thickens the Midwest quotient for the Akashic Noir series. Akashic Books continues its groundbreaking series of original noir anthologies. Each story is set in a distinct neighborhood or location within the city of the book. 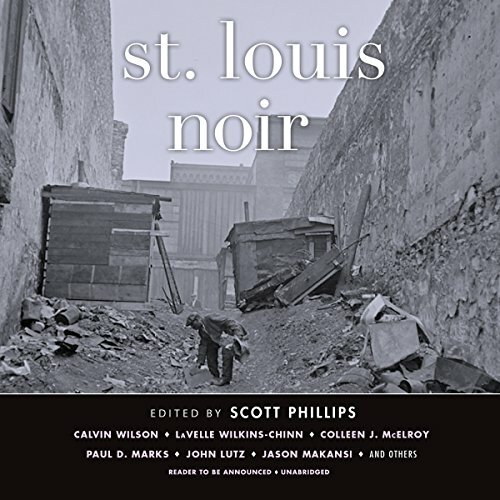 In the wake of Chicago Noir, Twin Cities Noir, and Kansas City Noir - all popular volumes in the Akashic Noir Series - comes the latest Midwest installment, St. Louis Noir. Masterfully curated by Scott Phillips, author of The Ice Harvest (adapted for film, starring John Cusack and Billy Bob Thornton), this volume will chill the listener with heartland menace. Featuring brand new stories by: Calvin Wilson, LaVelle Wilkins-Chinn, John Lutz, Paul D. Marks, Colleen J. McElroy, Jason Makansi, S. L. Coney, Michael Castro, Laura Benedict, Jedidiah Ayres, Umar Lee, Chris Barsanti, L. J. Smith, and Scott Phillips.